also collects information about a MongoDB cluster. It collects information from several sources to provide an overview of the cluster. -a, –auth-db: Specifies the database used to establish credentials and privileges with a MongoDB server. By default, the admin database is used. will ask for the password interactively. -u, –user: Specifies the user name for connecting to a server with authentication enabled. without parameters, it tries to connect to the localhost on port 27017. It collects information about the MongoDB instances by running administration commands, and formatting the output. on every instance to collect the ID, type, and replica set for each instance. and the OS process (by process ID). The result provides an overview of the running instance and the underlying OS. command and asking the admin.system.users, and admin.system.roles collections. for every collection in every database. The following is an output example when connected to a secondary in the replica set. 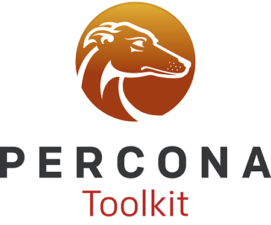 is new in Percona Toolkit. In the future, we hope we can make this grow to the size of its MySQL big brother! ← Oracle Database 12c Release 2 is Now Available…and so is our New VirtualBox Appliance!